Pursue MBA in Sports Management if you who exhibit a spectacular show of determination and true sportsmanship. Find more about the course at jagranjosh.com. The most determined of them all, MBA in sports management opens up a whole-new-world of thrilling opportunities. To be honest, all the specializations in Master of Business Administration produces leaders and experts, but specialization in sports management? It only builds champions. In the era of lights, camera and action, sports has become more than just a game, it’s a showbiz of entertainment with multiple franchise teams lurking for front seat. The sports industry is rendered as one of the largest revenue generators that offers the young aspirants with an array of leisure mingled with occupation. And in the backdrop of the global competitiveness, the sports industry in India is thriving with ceaseless demand for capable managers, leaders and team builders. Coming back to champions, they are made from a deeper conscious of having an aspiration, a mirage and a vision; who exhibit a spectacular show of determination and true sportsmanship. If you fall in this category, then pursuing MBA in Sports Management could be the righteous dreamboat for you. What is MBA in Sports Management? MBA in Sports Management is a combination of distinct academic disciplines that develops the quintessential skills of business administration, organization, economics, innovation, marketing and finance among the graduates. This versatile option of higher studies offers a variety in rewarding careers within and outside the sports industry. MBA in sports management emphasizes on business fundamentals and provides real-world experiences of theories and ideas to the students. It will impart a set of operational skills, practical expertise and specialist knowledge pertaining to the business of sports, for enabling the individuals in securing sports management job. Along these lines, the participants are also provided with a path to polish their interpersonal, innovative and leadership capabilities. Usually the fans of sports are the passionate ones to apply for the two-year traditional course of MBA in sports management, however, one can find enough motivation through the simple act of enjoying the business of sports and marketing. Why MBA in Sports Management? Sports have been the essence of prime entertainment, where the industry has rapidly grown worldwide. It extends from the management and commencement of diverse sports to the collaboration of business related with tourism, construction and infrastructure, equipment manufacturing, hospitality, marketing and merchandising. The likely worth of global sports industry is around 480-620 billion USD. not recognized and yet to be acknowledged as a full-fledged sector. Though, estimations have been made by GroupM and SportzPower India (investment organization), according to which the sports industry as shown an increment of 10% in 2015 with a worth of 48069 million rupees. 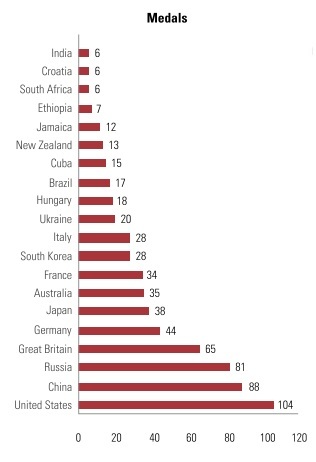 At the global level sports events, such as the Olympics, the country lags far behind the others and requires a push towards more efforts. Hosting international events such as Commonwealth Games in 2011, Cricket World Cup in 2011 and the World Chess Championship. The performance of India in the Commonwealth Games, over time, has shown an increment in terms of medals earned. Since it first participated in 1990, the progression of performance is noteworthy, till the last Games held in 2010. Apart from the international-level growth, at the national level, the sports industry in India has shown high engagement. At the National Games held in 2011, several states participated at different sports. Manipur was the leading state in terms of the medals earned, closely followed by Haryana and Maharashtra. The National Games in 2015 incorporated the sport of Yachting as a new event. Also, Kerala with 54 medals was the topper, followed by Haryana with 40 medals. The participation in terms of sportsmanship has shown an increase in the recent years, where credibility goes to the associated business of retail, manufacturing, tourism, hospitality and marketing. 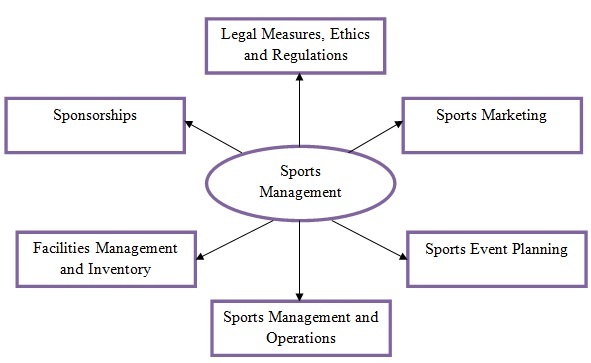 The remuneration offered in the jobs persisting in Sport Management area are dependent on personal attributes, which are catalysed by the post-graduation in MBA Sports Management. The starting salary ranges from Rs. 10,000 to Rs. 20,000, which extends with industrial experience. Share this article with those who are considering the idea to pursue MBA in a niche specialization such as Sports Management. If we have missed some important piece of information then kindly share with us your valuable comments and queries.